Part of Gregory’s ventilated hiking pack range, the Women's Jade 50 (www.gregorypacks.co.uk) is a great candidate for longer trips that require more gear. With a host of technical features such as a newly designed waistbelt with a narrow profile, the Jade 50 allows for maximum mobility without sacrificing comfort. 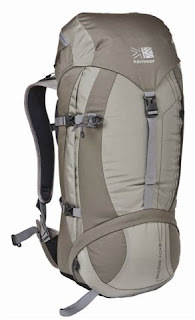 By using JetStream DTS technology the Jade 50 transfers the weight of your gear so it rests directly on the waistbelt, while the suspended mesh backpanel allows for good airflow across your back. You can clean your soft shell gear, add water-repellency and revive breathability with Nikwax Softshell Proof (www.nikwax.com). It’s easy to apply. 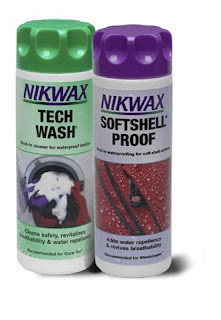 Simply wash your soft shell first using Nikwax TechWash then run a separate cycle in the washing machine using Nikwax Softshell Proof to keep garments in top condition. Nikwax Tech Wash is a pure soap cleaner that doesn’t leave water-attracting residues as standard detergents do and lifts out dirt without damaging the garment’s Durable Water Repellent (DWR) coating. Nikwax Softshell Proof is also available as a Spray-on product; it can be sprayed directly on wet clean garments. After 2 minutes, rub in any surplus and allow to air dry or put in the tumble dryer on low if the garment’s care instructions allow. Unlike other proofing treatments Nikwax Softshell Proof requires no heat activation to work so there’s no need to tumble dry or iron the garments to benefit. Ideal for all softshell products, Nikwax Softshell Proof has been tested on Gore Windstopper, Schoeller and Polartec fabrics including Polartec Power Shield and after first washing with Techwash the Softshell Proof significantly increased the water repellency without compromising breathability and will not affect the garment’s cosmetic appearance. One final tip – don’t use products that contain fluorocarbons, solvents and VOCs that damage the environment. Rather, choose water based products – environmentally friendly, biodegradable, non flammable and non hazardous like those in the Nikwax range. 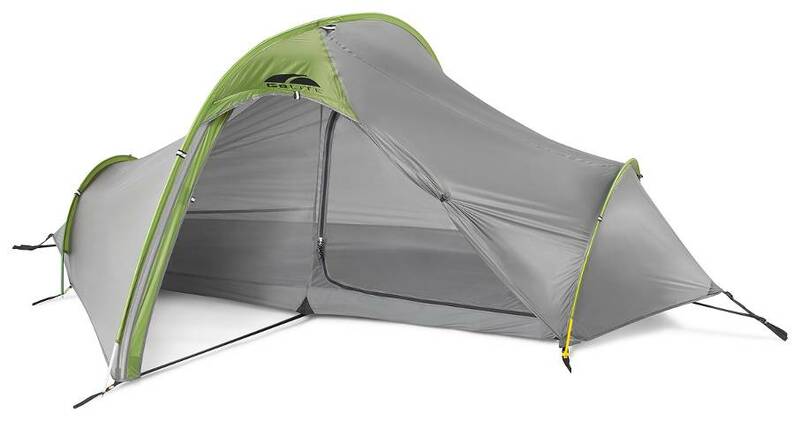 Following its successful launch, GoLite's (www.golite.com) Eden 1 superlight superstrong one-person shelter is part of its best-selling tent range for next year. One of the popular Eden series, the Eden 1 has better living space and a roomier vestibule (height: 45 inches, area: 31.7 sq. ft.) than other one person tents of similar weight (1045g). The innovative design maximises strength and interior space and is complemented with the use of advanced materials. Stronger and lighter than ever before, all tents and shelters within the GoLite collection feature ultralight 15D nylon Silite fabric which is 25% lighter than standard tent fabrics and more than three times as strong. The Eden collection consists of models suitable for 1 or 2 people and can be easily pitched using only 2 pegs. This unique design provides a generous interior along with a large outside vestibule which can be used for storage or cooking. Suitable for 3-season use, the Eden models provide great ventilation with adjustable vents at both ends of the tent. Designed to cover a multitude of needs from day trekking and climbing to everyday use, Karrimor’s (www.karrimor.com) 2011 Day Trekking collection offers functional, lightweight and cost effective packs (Kodiak 40+5, pictured). 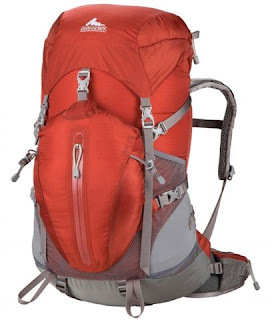 Packed with features, these are versatile day packs. 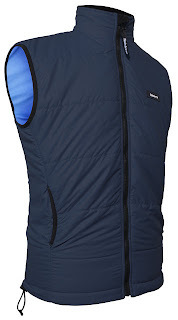 Finisterre (www.finisterreuk.com) has been perfecting its super lightweight (190gm) weatherproof Bise gilet for the past three years and it’s a smart versatile layering piece. By reducing the weight of its recycled outer shell, Finisterre has managed to make it one of the lightest and, in my experience, warmest gilets on the market. At the same time, all the key stress areas have been reinforced making it tougher and more durable. As the best synthetic fill retains 75% of its warmth when wet, the gilet has Primaloft Eco synthetic recycled insulation. It also has a 2-way zip, an adjustable cinch-pull hem, soft fleece-lined pockets and collar and packs away into its own pocket. It's been a real treasure on camping and travel trips taking up little space in luggage and weighing next to nothing.